National parliaments and inter-parliamentary structures should have the same approach to assessing the situation that occurred in the Kerch Strait. Such a statement was made to journalists by State Duma Speaker Vyacheslav Volodin after the speech of the President of the National Council of the Austrian Republic Wolfgang Sobotka in the lower house of parliament. Answering the question of an Austrian journalist about the incident in the Kerch Strait, Volodin once again explained why this situation should be considered a political provocation. “In September, Ukrainian vessels complied with international shipping standards. This time they entered the waters that were ours even before 2014. 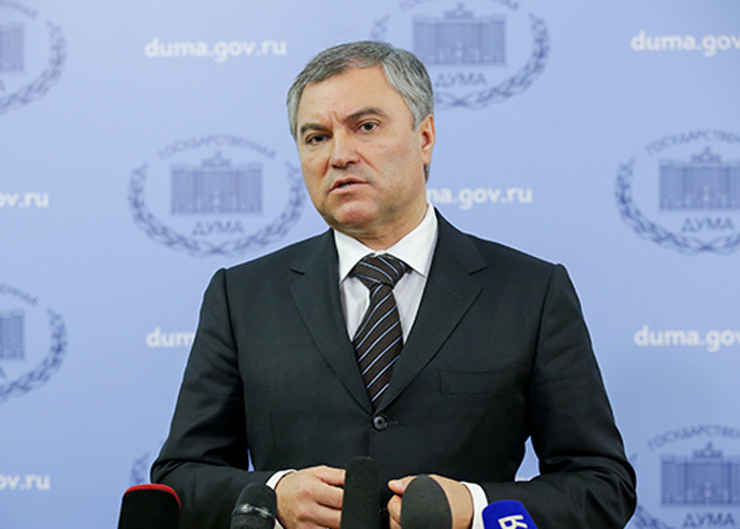 They violated the border, Russian legislation and international norms, ”the Speaker of the State Duma stated. Ukrainian courts, the State Duma Chairman specified, demonstrated aggression, uncovered guns and moved towards the bridge. “Against the background of the statements made by the radical forces of Ukraine, the Russian border guards had no choice but to resolutely stop the actions of the violators, because we are talking about threats related to the terrorist attacks on the Crimean Bridge,” Volodin said. This situation and the decision of the President of Ukraine Petro Poroshenko to impose martial law on the territory of 10 regions once again confirms that the actions of the Ukrainian authorities are provocative, the State Duma speaker stressed. “Our position – such actions should be condemned. It would be right for the national parliaments and inter-parliamentary structures to discuss this situation and give their assessment of Poroshenko’s actions, ”Vyacheslav Volodin expressed hope. It is necessary to take the same approach to assessing such situations, he concluded. Earlier, the State Duma adopted an Appeal to the national parliaments of Europe and Asia and inter-parliamentary structures in connection with the incident in the Kerch Strait. On December 5, the lower house is scheduled to consider awarding Russian border guards with certificates of honor from the State Duma.